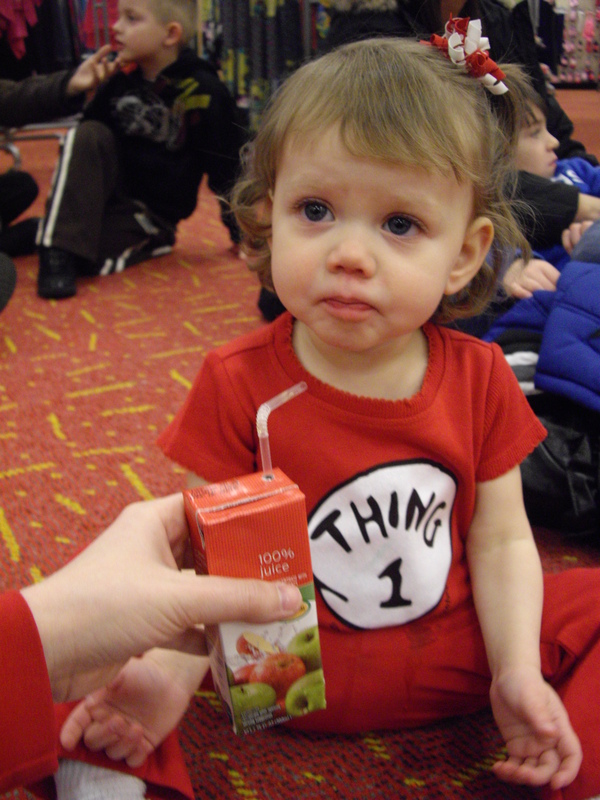 During Dr. Seuss Storytime at Target I got out the juice box that they supplied in the gift bag. 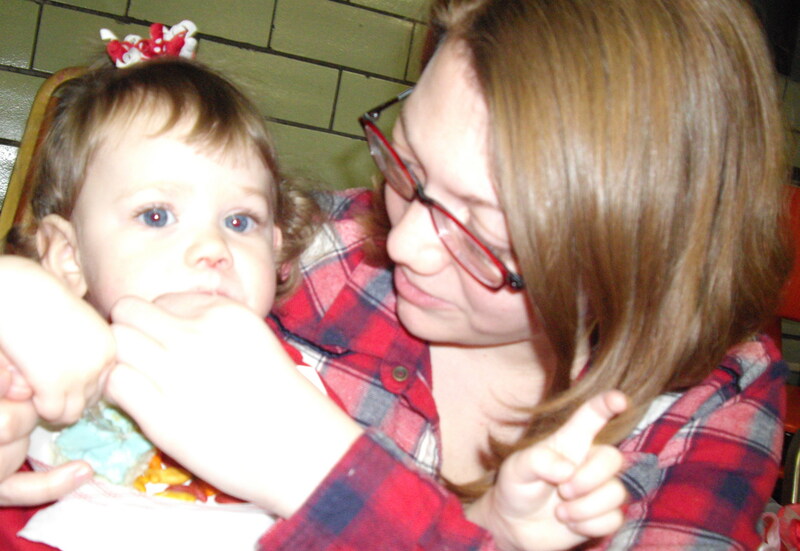 This was the first time Adaline ever had a juice box, so naturally I didn’t give it to her to hold. She reached for it anyway and gave it a good squeeze and we got juice all over her pants and the carpet. At the library Adaline was enjoying a piece of cake and some Goldfish crackers. I noticed some fuzz stuck to Adaline’s mouth which I tried to remove. Right after the photo was taken I lost grip on the plate and dropped the Goldfish all over the floor. The cake pretty much fell on her shirt so we were able to save it, but there was blue (green?) icing on her shirt and it needed to be washed for the second time in three days. To save time I beat the eggs for our Splendiferous Dr. Seuss Breakfast the night before and stuck them in the fridge with a plate over the top. The next morning I didn’t have a good grip and when I pulled the bowl out of the fridge I spilled the eggs everywhere. 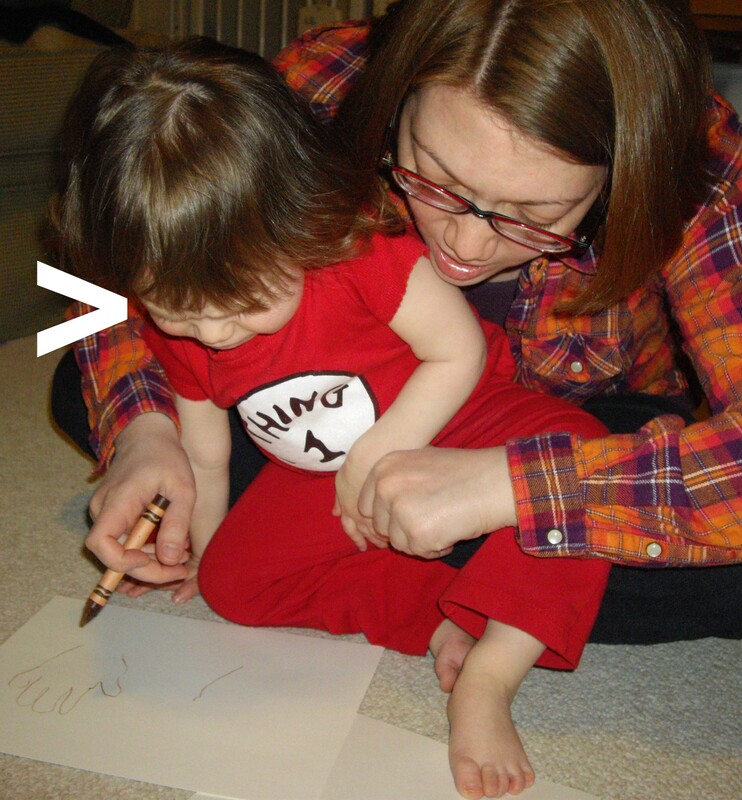 I traced Adaline’s right hand with no trouble, but when I tried to trace her left hand she started whining and pulling her hand away. 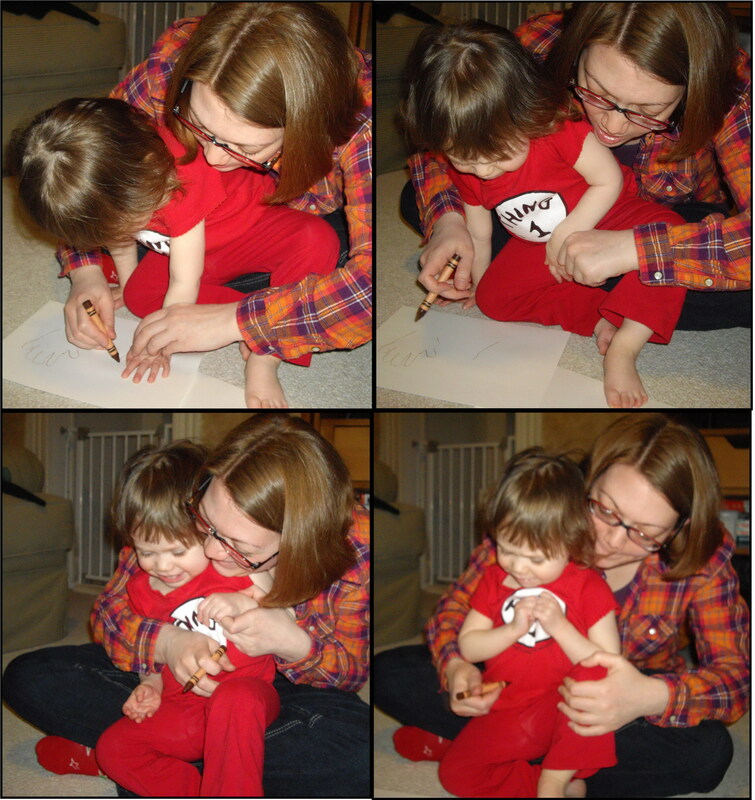 It took some tickling to get her ready to have her hand traced. Just in case you couldn’t see her little upset face, here it is again with a giant arrow. I didn’t think through this craft project which I mentioned here. 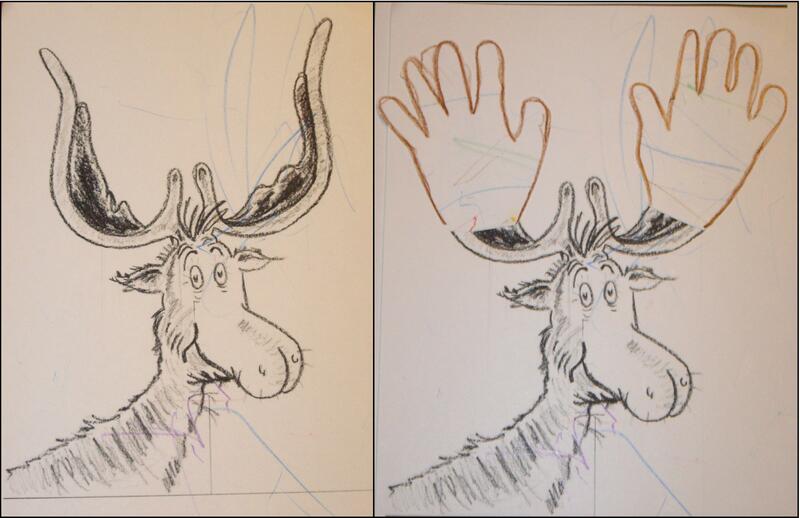 I should’ve left Thidwick’s original antlers out of my drawing and pasted the hands coming directly out of his head. For whatever reason I drew the antlers anyway, but her hands weren’t big enough to cover them completely, so I had to move them up so that the other antlers didn’t show. This just makes it look like Thidwick is wearing gloves on his antlers. 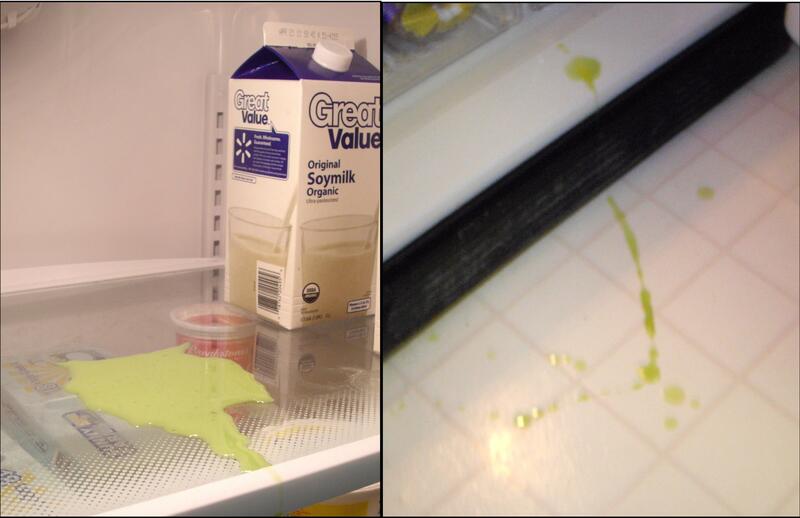 It wasn’t that bad, I guess, but the green eggs all over the fridge were pretty gross. Posted on March 16, 2011, in Dr. Seuss, Wordful Wednesday and tagged humor, Wordful Wednesday. Bookmark the permalink. 1 Comment. I’m sure Dr. Suess would have come up with a story about your day if he’d been there. You know a perfect day would have been boring anyway!